Posted by Jill S. Schneiderman in Antarctica, Buddhist concepts, earth community, earth system science, environmentalism, fracking, hydraulic fracturing, hydrosphere, ocean pollution, oil spill, science, yeti crab. The first time I chanted the Metta Sutta — the Buddha’s teaching on lovingkindness — I was a retreatant at the Insight Meditation Society in Barre, Massachusetts and I got caught up in the inflection marks that appeared above the words; I couldn’t quite figure out when my voice should go up and when it should go down. I felt self conscious about not getting it right and awkward each time we chanted thesutta (in Pali, the language of the Buddha, sutta means “thread” and its presence in the title of a text indicates that it is a sermon of the Buddha or one of his major disciples). Still, at each sit I looked forward to the collective chant. I listened carefully and chanted along with the group following the rhythm, tempo, and pitch. Eventually the sutta seeped into my bones, resonated in my body. In short order, I loved it. For there, seven thousand feet beneath the sea surface, are “black smokers” — hydrothermal vents in the ocean floor — that spew hot, mineral-rich water into cold deep and build chimneys of a sort. Around them, living beings seen and unseen, cluster–species of giant tube worms and clams feeding on microscopic organisms, species sharing this spot on Earth over millions of years. I’m inspired by these beings that make their own food not from sunlight (photosynthesis) but from chemicals in the water (chemosynthesis)! They’re not grazing on golden hills like the deer Sylvia has described that wander near Spirit Rock Meditation Center. They are what biologists call extremophiles. They dwell under pressure, in the dark, making their food from the Earth’s hot effluent! Amazingly, but perhaps not surprisingly given that three-quarters of the Earth is ocean and we’ve explored precious little of the floor beneath, there seem to be plenty of living beings we’ve yet to meet. A few days ago, published research on newly discovered deep sea hydrothermal vents in the Southern Ocean near Antarctica revealed some entirely new species. Check out this previously unknown species of hairy-armed crustaceans called “yeti crabs” living tightly packed together on and around the vents. In the aftermath of various insults to the salty portion of the Earth’s hydrosphere such as the recent oil spill off the Nigerian coast, and in anticipation of damage from hydrofracking to unknown beings that undoubtedly reside in deep regions of the lithosphere, I offer these observations. Perhaps one day we may, in the words of the sutta, cherish with a boundless heart all living beings, omitting none. This entry was created by Jill S. Schneiderman, posted on January 9, 2012 at 11:04 am and taggedBuddhist concepts, Environment, Science, Sustainability. Bookmark the permalink. Follow any comments here with the RSS feed for this post. Posted by Jill S. Schneiderman in BP/Deepwater Horizon oil catastrophe, Jack Kornfield, oil spill. This piece is cross-posted at Shambhala SunSpace and Truthout. You can’t make nothing out of something. That’s what I’m stuck on now that BP has resumed drilling the final stretch of relief well that will allow engineers to plug ostensibly the disastrous Macondo well in the Gulf of Mexico. And I don’t mean just that BP along with other oil industrialists would have us believe that the Gulf of Mexico deep sea oil gusher was a fluke that won’t happen again, even as we’re poised to restart deep-water drilling for oil. Or, that the New York Times might be reporting an inappropriately rosy picture of the current situation in the Gulf. I mean the first law of thermodynamics, often called the Law of Conservation of Energy, which states that energy may be transferred but can’t be created or destroyed. (where E stands for energy and m for matter and c is a constant—a multiplication factor that doesn’t change). 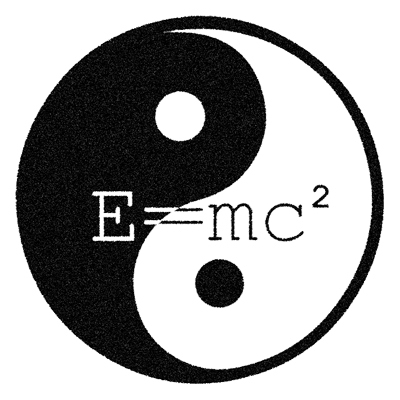 Einstein suggested that energy and matter are interchangeable. In essence the first law of thermodynamics also implies that matter, like energy, can be neither created nor destroyed. That’s why Intro Physics students also know this principle as the Law of Conservation of Matter. In case you were wondering, oil is matter. So even though I’m generally a glass-half-full kind of person, suspicion wheedled its way through my body when in August I heard that roughly three fourths of the oil unleashed from the deep-sea well had “disappeared”. The report from scientists at NOAA (the U.S. National Oceanic and Atmospheric Administration) in fact stated that, “the vast majority of the oil from the BP oil spill has either evaporated or been burned, skimmed, recovered from the wellhead or dispersed” and proclaimed proudly, “a significant amount of this is the direct result of the robust federal response efforts”. Well, bully for them. I can understand why people who perhaps avoided a physics course might interpret “burned”, “skimmed”, and “dispersed” as “disappeared”. But here’s the truth of the first law of thermodynamics: since the earth is a closed system, the matter that was once entombed oil is now formerly fossilized fuel released into other parts of the Earth System. I can’t help but picture the escaped oil issuing forth from the Gulf of Mexico as cinematographers rendered J.K. Rowling’s hope-sucking dementors. We see as coatings on beaches and birds the painfully obvious 26% of “residual oil”. As for the disappeared 74%, on an Eaarth ruled by the first law of thermodynamics, “burned,” “dispersed,” and “skimmed” means respectively, that the oil from the Gulf Gusher resides in the atmosphere helping to warm the planet; lurks as minute particles in seawater that challenge the capacity of fish to extract oxygen from water via gills suited to seawater of specific physical and chemical composition; and accumulates as something we could call the dregs of the disaster. Therefore I’d like to suggest that as scientists, oil industrialists, government officials, and engaged citizens continue to debate the fallout from the BP catastrophe, we strive to stay open to the truth of the first law of thermodynamics and try to live in accordance with that reality. Posted by Jill S. Schneiderman in BP/Deepwater Horizon oil catastrophe, Buddhist concepts, Carl Safina, disasters, earth community, fossil fuel, meditation, ocean pollution, oil, oil spill. During August, for my Institute for Jewish Spirituality Meditation Teacher Training program, we were to focus on breathing. During the first week of the month our teachers directed us to get back to basics—to use the breath actively as a concentration practice, experimenting with techniques such as labeling, counting, and paying attention to specifics such as beginning, middle and end; long, short, rough, and smooth. We should set the intention to let the breath saturate our experience—to invite whatever pleasure arose, to grow and be sustained. We were to utilize this exercise to explore ways of deepening concentration. During the second week we worked with a sense of receiving the breathing and letting the attention be more on the whole body. I had hoped to establish mindfulness of the body so that the breath would simply come to me. I dedicated myself to breathing in this receptive way, but I had trouble. My attention kept getting pulled to a recollection of a recent TED talk by Carl Safina about “clean-up” efforts related to the BP Gulf of Mexico oil gusher. Dr. Safina — an ornithologist, MacArthur Fellow, winner of the 2003 John Burroughs Medal for nature writing, and president of the Blue Ocean Institute who was named by the Audubon Society as one of the hundred leading conservationists of the twentieth century — began to cry during his talk as he recounted a story of a bottlenose dolphin in the Gulf. Now, I’ve seen men cry and I’ve witnessed the occasional scientist expressing profound sadness, but seeing Dr. Safina’s seemingly uncalculated and public emotional response that arose from compassion was a first for me. In fact later in the talk, Safina explicitly referred to compassion as the most important quality we humans have to offer. I heard the most incredible story today when I was on the train coming here. A writer named Ted Williams called me. And he was asking me a couple of questions about what I saw, because he’s writing an article for Audubon magazine. He said that he had been in the Gulf a little while ago — like about a week ago — and a guy who had been a recreational fishing guide took him out to show him what’s going on. 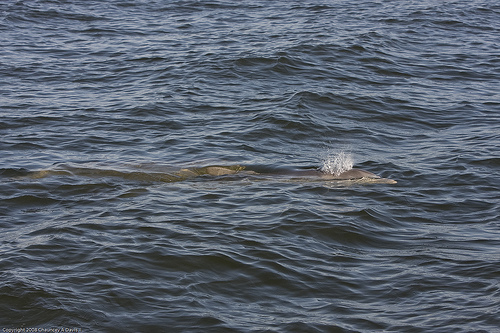 … he told Ted that on the last day he went out, a bottlenosed (sic) dolphin suddenly appeared next to the boat. And it was splattering oil out its blowhole. And he moved away because it was his last fishing trip, and he knew that the dolphins scare fish. So he moved away from it. Turned around a few minutes later, it was right next to the side of the boat again. He said that in 30 years of fishing he had never seen a dolphin do that. And he felt that — he felt that it was coming to ask for help. Then he choked up, looked away from the audience momentarily, turned back to them and excused himself. “Sorry,” he said. Dr. Safina, if you read this, please know that I thank you and think no apology is necessary. Now, I’m a geologist, not a cetologist, so Dr. Safina’s story caused me to feel the need to do a bit of research on how bottlenose dolphins breathe. An article in Science told me that these athletic marine mammals show numerous physiologic adaptations to life in a dense, three-dimensional medium—that is, seawater—and as air breathers they are inseparably tied to the surface of the water. According to the website of the Dolphin Research Center, dolphins breathe air directly into their lungs via the blowhole, which is essentially a nostril that leads to two nasal passages beneath the skin. The blowhole is naturally closed and must be opened by contraction of a muscular flap. It opens briefly for a fast exhalation and inhalation. Air sacs under the blowhole help to close the blowhole. Much to my amazement I learned also that dolphins are “conscious breathers” who must deliberately surface and open the blowhole to get air—that means they think about every breath they take; they concentrate on the breath. Bottlenose dolphins typically rise to the surface to breathe two to three times per minute although they can remain submerged for up to 20 minutes. How do they sleep, I wondered? Apparently, dolphins breathe while “half-asleep”; during the sleeping cycle, one brain hemisphere remains active in order to continue to handle surfacing and breathing behavior, while the other hemisphere shuts down. I tried to do my assignment, to focus on my breath, but I kept wondering if the recreational fishing guide to whom Safina referred had witnessed a dolphin, panicky, because it couldn’t breathe. I’ve had asthma myself and have been through bouts of croup and asthma with my children. I know that suffocating feeling. I wondered if Corexit, the dispersant used to break up the oil in the Gulf, might affect the geophysical fluid properties of seawater so as to make breathing more labored for dolphins there. It’s been hard to find any information about this. Much of the bad news around Corexit relates to its geochemistry—not it’s physical, but its toxic chemical effects. As many people know, seawater contains not only sodium chloride (ordinary table salt) but magnesium sulfate, magnesium chloride, and calcium carbonate which taken together as the “dissolved salts” in seawater are called “salinity.” It’s measured in parts per thousand (‰) which is equal to grams per kilogram. The salinity of freshwater is 0‰; normal seawater has a salinity of about 35‰. Salinity makes seawater very different from freshwater. 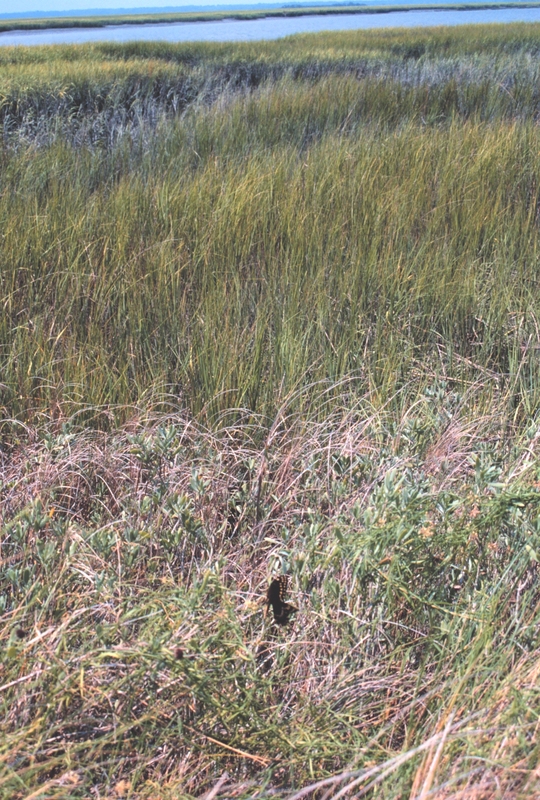 Most animals have a specific range of salinities that they can tolerate partly because salinity, along with temperature, determines water density. Density and pressure are related to one another. In my research I’d read that dolphins can detect very small changes in pressure. Could a pressure sensitive organ such as a blowhole membrane be affected by changes in the chemical and physical properties of seawater? I watched as Safina conducted a science demonstration on TED; he showed that dishwashing detergent (a dispersant) added to a glass of oil floating on water and stirred causes the oil to break up into small globules that remain suspended in the water. The water became cloudy, and I would bet that if I tried to measure the density and viscosity of the Corexit-induced mixture of oil and sea water, those parameters would have changed from what the dolphins are accustomed to for their voluntary breathing process. Does the changed physics and chemistry of Gulf seawater owing to Corexit-dispersed oil in the seawater affect the breathing experience of dolphins? Since the blowhole is supposed to contract tightly to ensure complete closure when the dolphin dives, would oil dispersed in the water make the seal slippery and less secure? Could oily water get into a dolphins respiratory system? I’m sure that some scientists would say that these effects are “negligible” so I had to leave these questions to the cetologists. We all share the same heart. We penetrate each other far more than we are ordinarily aware. Ordinarily we are taken in by the materialist myth of discrete being. We look like we are separate bodies. We look like we are discrete from one another. Physically we can see where one of us begins and another of us ends, but emotionally, spiritually, it simply isn’t this way. Our feelings and our spiritual impulses flow freely beyond the boundaries of the self, and this is something that each of us knows intuitively for a certainty (Lew 81). Maybe Carl Safina’s heart ached because we all share the same heart. And perhaps I’m having trouble receiving the breath because we and the dolphins share the same lungs. Posted by Jill S. Schneiderman in "Eaarth", BP/Deepwater Horizon oil catastrophe, Carl Safina, earth community, fossil fuel, ocean pollution, oil, oil spill. Carl Safina personifies a scientist with heart. In this TED talk he demonstrates what the dispersants in the Gulf of Mexico do to the oil that has, by gross negligence, been released there; speaks with great emotion about the oil disaster’s effect on marine mammals and the virtue of compassion; and urges people to seize the moment and refuse to let the U.S. government and multinational corporations act criminally with regard to our common resources and other living creatures. Please watch Dr. Safina’s 20-minute talk. Posted by Jill S. Schneiderman in BP/Deepwater Horizon oil catastrophe, disasters, fossil fuel, Naomi Klein, oil, oil spill. Posted by Jill S. Schneiderman in Barbados, BP/Deepwater Horizon oil catastrophe, Buddhist concepts, Chögyam Trungpa Rinpoche, disasters, earth community, fossil fuel, oil, oil spill, poetry. This piece is crossed-posted at Shambhala SunSpace. As I was driving my children to their school in Bridgetown Barbados today—my partner is a Fulbright Fellow at the University of the West Indies on the island—I stopped the car to allow some older people to cross the street. One woman wore a shower cap, a bathrobe swaddled another member of the group of five, and one of the men had on swim trunks and carried a bath towel. It was 7:30 a.m. and the assemblage had just emerged from Payne’s Bay, a stretch of calm, blue Caribbean Sea after their morning sea bath. As I paused for the bathers to cross the street and return home to continue their daily activities, my mind drifted to the residents of southern Louisiana whose way of life is currently rent asunder by the oil oozing from the BP/Transocean puncture wound to the Earth’s thin skin—the ocean crust is no more than 35 km thick and can be visualized accurately in scale if pictured as the shell on a hard boiled egg. Had the Deepwater drilling accident taken place off the coast of Trinidad and Tobago, a fossil fuel-rich island nation off the coast of Venezuela and roughly 150 miles from Barbados, the crisis we Americans confront in the Gulf of Mexico would be disrupting the sea-based life of Barbadians today. I listened carefully along with others last night as President Obama addressed the nation on the topic of the oil disaster. I’m glad that our President has been to southern Louisiana four times already and that he will meet with the head of BP to hold that company responsible. But I was disappointed to hear our intelligent and well-intentioned President in our current predicament resort to the familiar military metaphors. He talked about our “siege,” “battle,” and “assault” on the oil. As feminist geographer Joni Seager pointed out many years ago in her fine book Earth Follies: Coming to Feminist Terms with the Global Environmental Crisis, it seems that our government must always conjure an enemy with which to fight. Whether it’s a war in Afghanistan or Iraq, or a “war on drugs,” we resort to martial images when crisis arises. Do we do so because such representations prop up masculinity? Does this type of depiction make us feel more secure in uncertain situations? As much as I was glad to hear President Obama assert that we must pay attention in this moment and move forward on alternative energy initiatives—renewable ones like solar and wind—I was sorry to hear the commander-in-chief’s lingo. What would our relationship with the earth be like if we approached it from a position of unity and love rather than separation and aggression? The sea birthed life on this planet. Before the first land emerged—while we know the planet to be 4.6 billion years old based on the ages of meteorites and the concomitant formation of our solar system, our oldest record of solid ground is rocks that are only 4.28 billion years old—there was no outer rock sphere, only a hydrosphere and thin atmosphere. The sea is our ultimate source. Does it not require our reverence? peaks into cowlicks the combed mane of the marsh. and turns? Could I keep the past in the present’s eye? Could I know what the grass knows? Living on this tiny coral island I’ve felt fortunate to be among people whose daily lives acknowledge our debt to the sea. Despite the money to be made if excessive development were allowed on Barbados’ east coast, as it has been on the west coast of the island, Bajans mostly stand against such coastal augmentation. They already live with plentiful trash that washes up on the island’s eastern shores from transoceanic vessels that dump all sorts of waste–including oily bilge—into the sea. Can we know what old-time Bajans know? Everything is based on our own uptightness. We could blame the organization; we could blame the government; we could blame the food; we could blame the highways; we could blame our own motorcars, our own clothes; we could blame an infinite variety of things. But it is we who are not letting go, not developing enough warmth and sympathy—which makes us problematic. So we cannot blame anybody. This entry was created by Jill S. Schneiderman, posted on June 16, 2010 at 6:53 pm and tagged Environment, Science, Sustainability. Bookmark the permalink. Follow any comments here with the RSS feed for this post. 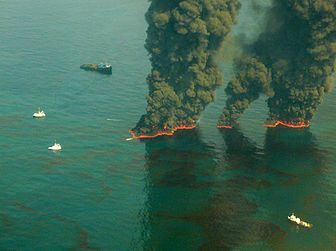 Posted by Jill S. Schneiderman in BP/Deepwater Horizon oil catastrophe, Buddhist concepts, contemplative practice, disasters, earth community, fossil fuel, geology, oil, oil spill. Would anyone argue that the exploits of oil professionals in the Gulf haven’t caused deadly outcomes that continue to sprawl spatially and temporally? If the implications of the words Nixon uses to help us understand his concept were not utterly devastating, I’d relish their richness: “attritional calamities” with “deferred consequences and casualties;” “dispersed repercussions” that “pose formidable imaginative difficulties.” The explosion, fire, and sinking of the Deepwater Horizon was a small spectacle and only the initial phase of a protracted series of events with severe ramifications. I believe that Nixon would call the BP Earth Day Oil Catastrophe a “convoluted cataclysm”; it’s vivified by the tortuous patterns of unspectacular brick-colored sludge and oblique oily sheen not anywhere but everywhere. 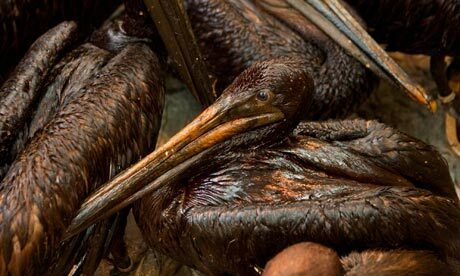 The crude oil coats birds, porpoises, redfish, marsh grasses, and people. It’s dispersed in the water column and currents, and sends fumes into the air. Oil in the Gulf. Image via NASA. Devastated communities and environmental refugees, dead or injured living beings, and absolutely altered land, water, and air. We should recognize the BP Earth Day Oil Catastrophe as a bellwether of slow violence—brutality in the guise of slow-moving and spatially extensive environmental transformations that are out of sync with the nano-second attention spans of the 21st century. But what will enable us unflaggingly to confront slow violence? Natural law still operates amidst the ineptitude and corruption in the Gulf of Mexico. Distributary channels on the Mississippi delta continue to carry sediment to the Gulf despite human efforts to channelize the flow of the river; tides and currents dole out the sediment to the sea; fine-grained particles settle to the seafloor. It’s the modern day continuation of processes that first formed the oil. The petroleum—“rock oil”—now gushing forth from the earth’s crust is a natural substance, albeit unleashed in an unnatural time frame. It formed from the remains of marine organisms interred in mud beneath the sea. Over millions of years, the mud compressed and heated to form the sedimentary rock, shale. In that process the contained organic matter broke down to form oil. In the record of rocks, like those that spew oil, I read rhythms of deep time and the renewal they imply. James Hutton, the 18th century Scottish medical doctor and gentleman farmer, is considered the founder of geology and remembered as having likened the earth to a perpetually self-renewing machine. But as essayist Loren Eiseley reminds us in The Firmament of Time, for his doctoral dissertation Hutton studied blood circulation. At the same time, the medieval idea persisted that Man reproduces in miniature the outside world. What has been called Hutton’s secret—the fact that as a physician he applied his biomedical perspective to the earth—allowed him to use an organismic analogy for the earth. He conceived of the planet not simply as a machine but as a living organism with circulation and metabolism. In this way of seeing, it is possible to recognize dynamic qualities of the earth’s crust that facilitate decay and renewal. As Sharon Salzberg advises, “with faith we can draw near to the truth of the present moment.” So, for the time being, as I follow the ongoing reports coming from coastal Louisiana, I’m clinging to my faith as a geoscientist that we and the Earth together can begin again. Click here for more of Jill S. Schneiderman’s “Earth Dharma” posts for Shambhala SunSpace. This entry was created by Jill S. Schneiderman, posted on June 4, 2010 at 10:32 am and tagged Environment, Science, Sustainability. Bookmark the permalink. Follow any comments here with the RSS feed for this post. Posted by Jill S. Schneiderman in BP/Deepwater Horizon oil catastrophe, Buddhist concepts, oil, oil spill. BP has officially declared that its operation “Top Kill” has been a failure. Of course I wish it hadn’t failed even though I dislike the phrase– “top kill”– used to describe the sadly comical ‘operation’. The experts disingenuously choose words that they hope will convey to onlookers some degree of confidence while the professionals dump old tires, golf balls, and mud into the hole to plug the leak. I’m unsurprised completely that “top kill” has failed. Try to plug an open fire hydrant with the palm of your hand and simulate the challenge the fixer-uppers face. It’s difficult to feel anything other than despair. Buddhist thinkers would tell us at least to pay attention. My advice? Don’t be distracted from concentrating on this reality by obscure terminology and political spin. Monitor the source of the disaster by watching here the live streaming video of the plume of oil gushing from the site of the BP/Transocean calamity and the Remotely Operated Vehicle (ROV) attempt to stop the flow. Posted by Jill S. Schneiderman in BP/Deepwater Horizon oil catastrophe, fossil fuel, oil, oil spill. Encyclopedia of Earth, is a relatively new electronic reference about Earth’s natural environments and society’s interactions with them. It’s free, searchable, and credible–a peer-reviewed collection of articles written in non-technical language by scholars and educators that is supported by the National Council for Science and the Environment (a not-for-profit organization dedicated to improving the scientific basis for environmental decisionmaking). As the ongoing BP/Deepwater Horizon fiasco unfolds, check out an article in the Encyclopedia by Cutler Cleveland, professor of geography and environment at Boston University. Cleveland comprehensively summarizes and analyzes the situation. We need to understand what happened; we’re going to live with effects of this episode for a very long time. Posted by Jill S. Schneiderman in BP/Deepwater Horizon oil catastrophe, disasters, fossil fuel, oil, oil spill. Every now and then — well, probably more often than that — public discourse settles upon the wrong word to describe something important. Using the wrong word makes it much more difficult, if not impossible, to have an intelligent and productive exchange of ideas. Such is the case with the Gulf catastrophe. At some subliminal level I had hesitated a fraction of a second before using the word “spill,” but mentally shrugged and went ahead and used it anyway. Like everybody else. That was a mistake. As Jill Schneiderman points out, in an absolutely brilliant, perfectly simple observation, it’s not a spill: It’s a gusher, or a blowout, or something along those lines. The earth’s crust is cracked, a mind-boggling volume of oil has started to leak out. It might even leak a billion barrels. We just don’t know. And we really don’t know how to fix it… Thanks, Jill, and Kudos to you! The word “spill” shall now be retired, at least on this blog.